Last week ushered in the Jewish month of Adar, which means Purim is right around the corner. 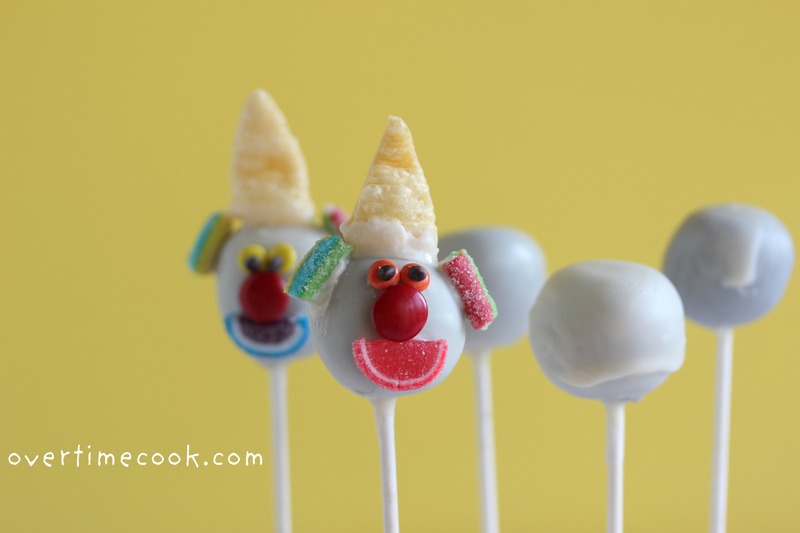 I have some super exciting Purim treats to share. 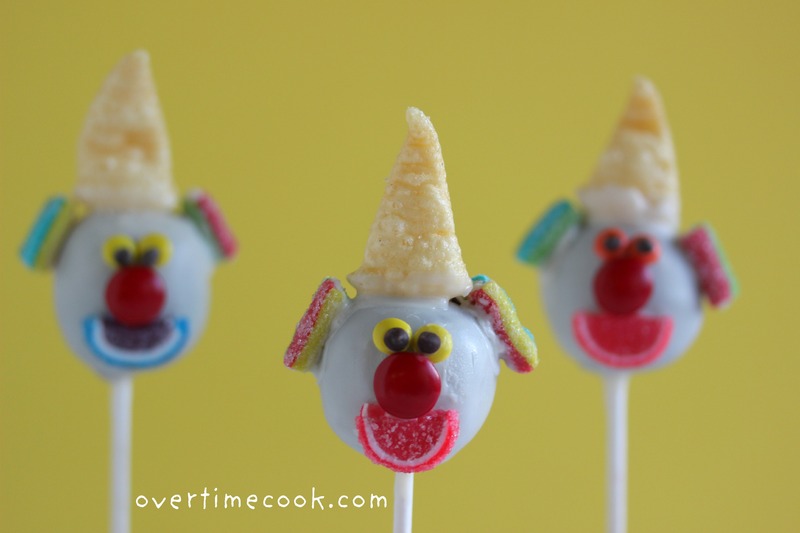 Starting with these adorable clowns. 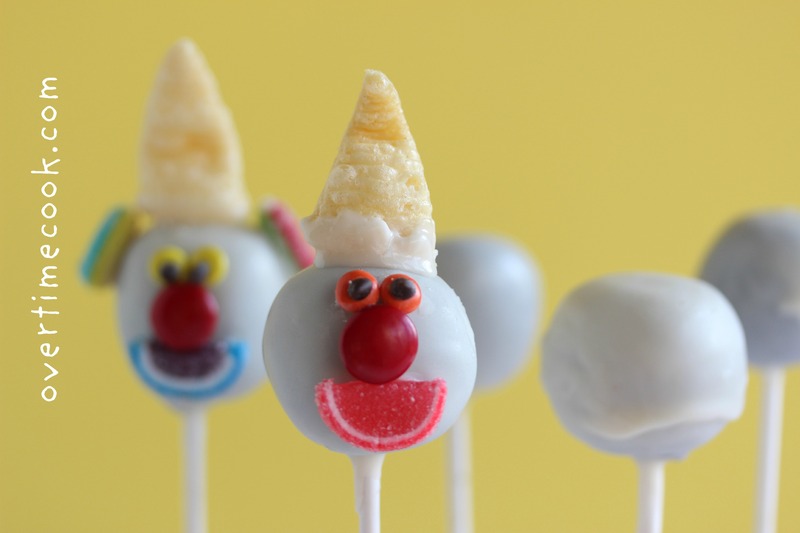 Purim is all about being happy and joyous, something clowns can totally aid in. 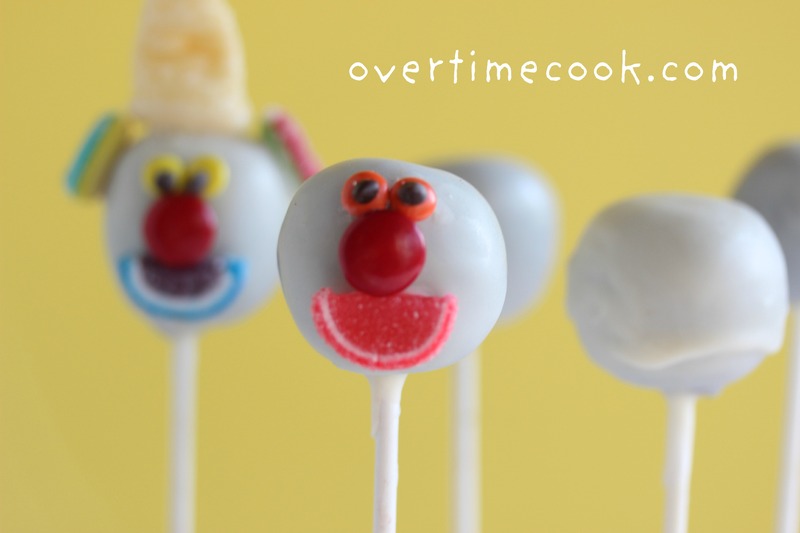 What better way to showcase them than the ever-popular cake pop? They may look difficult, but don’t be fooled. 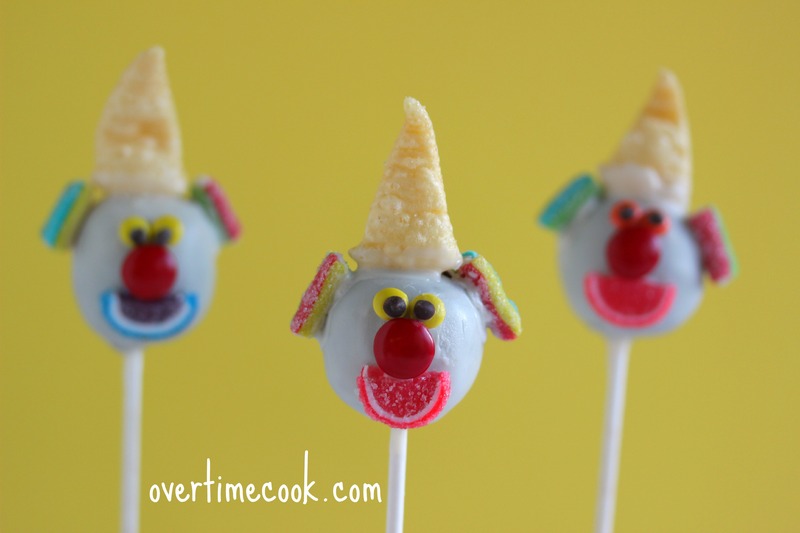 These clowns are easy, fun, and a great activity to do with your kids! Scroll down to bottom for link to full recipe and tips. See? So easy! 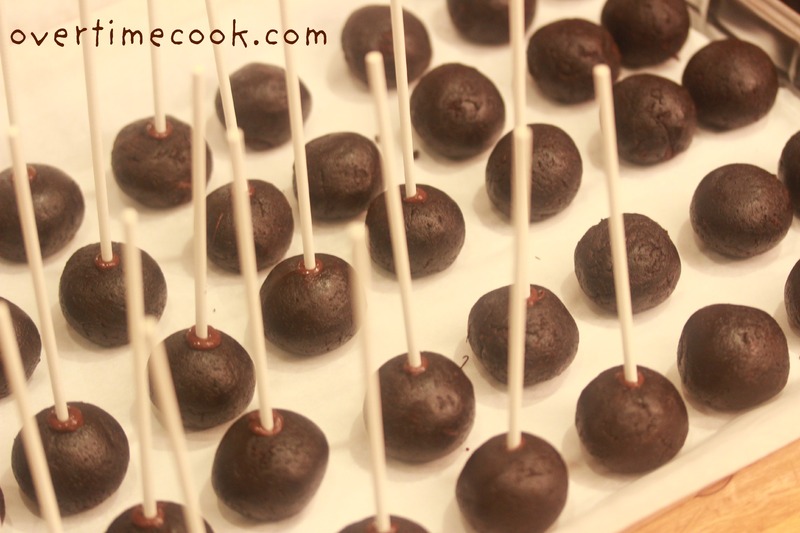 For detailed directions, as well as my adorable Hamantashen shaped cake pops, check out my guest post on Joy of Kosher. i have to make lots of hamentashen still. These are seriously cute! But I think they’re beggggging for ribbons around their necks — what do you think? 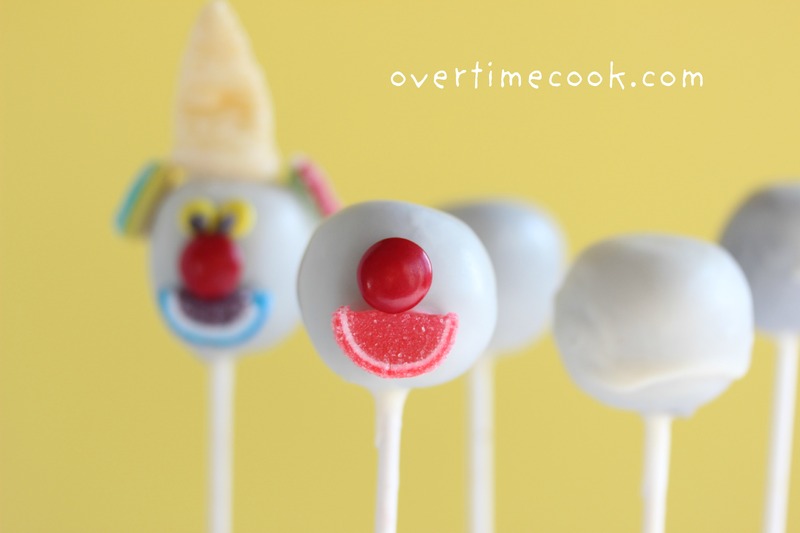 What a wonderful twist on the classic cake pop! Love your creativity!! 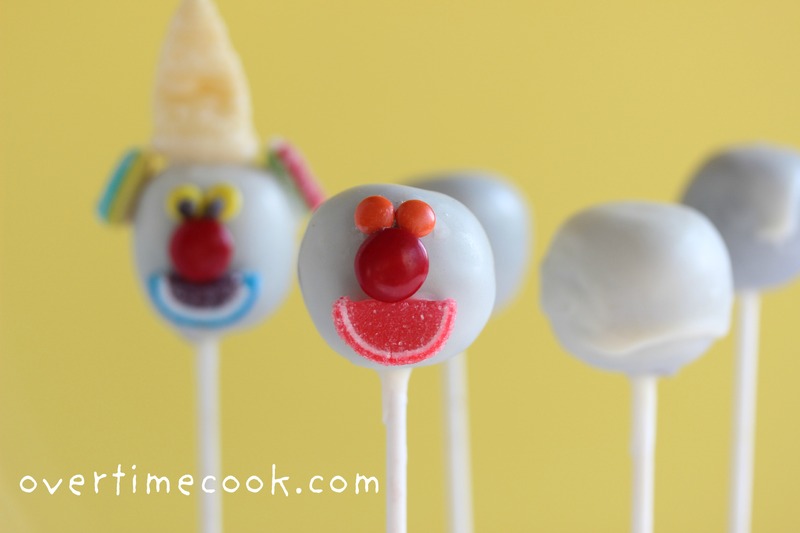 These are really cute and I’m sure they were a lot of fun to make! I made hamantashen cake pops (my first time making cake pops) earlier today. I made an indent into the center of the triangle using a chopstick and then filled it with melted chocolate after the pops were dipped. I”ll try to upload a pic to your facebook page. 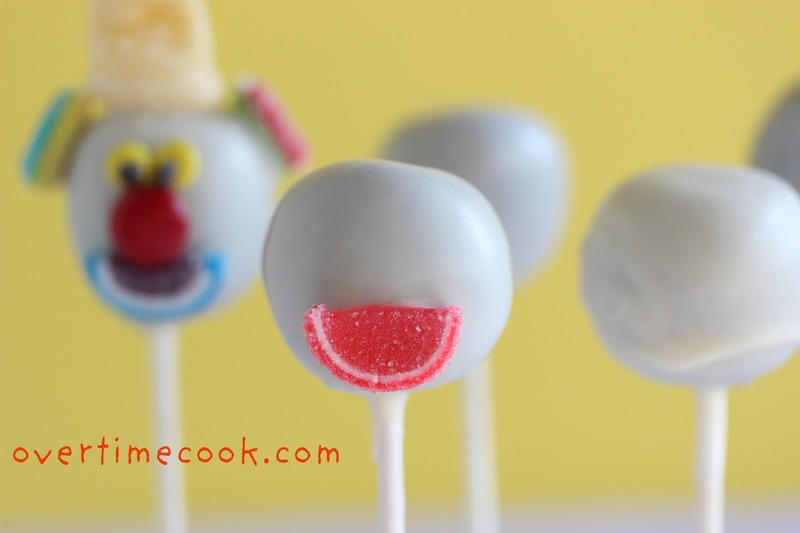 They look really cute but I didn’t particularly like the candy that I used for dipping. Do you have any recommendations for pareve candy for coating? I’m so glad you liked these Michelle! I would love to see the pictures. Regarding parve candy coating- sadly it just doesn’t taste that great. My only suggestion is to use chocolate, which doesn’t work in colors… I think for children they don’t mind the candy coating, and for adults I go with real chocolate. 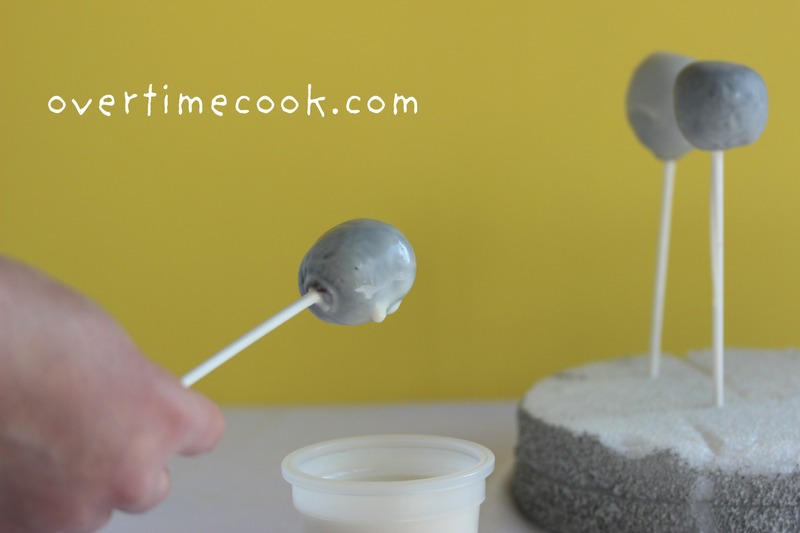 What cake recipe do you suggest to use for these cake pops to get the right texture?